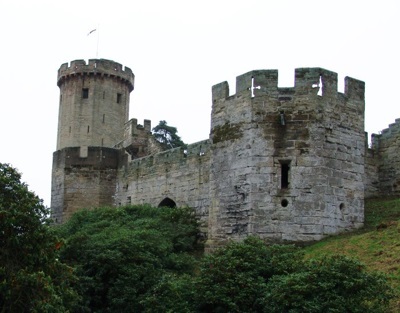 Warwick Castle is a famous castle in the town of Warwick. Its use dates back to 1068, when William the Conqueror built a wooden motte-and-bailey castle on the site. Subsequently however it was extensively rebuilt and expanded, starting with a stone keep that was built in the 12th century. Today, the Warwick Castle is a tourist attraction. The castle is surrounded by attractive gardens. During the year, various events such as archery shows, bird shows, etc., are held in the castle or its grounds.